From slouching in an office chair, to bending incorrectly and hurting your back in the process, we have all experienced the resulting effects of what bad posture can do to our bodies. Hunching your back, slouching over and not standing up straight can add years to your appearance and can cause damage to the spine and muscles as well as carry the potential to reduce your lung capacity. Bad posture can affect your work, driving and general comfort levels so it is important to make sure you aren’t doing your body any undue harm through incorrect posture. Neck strain, wrist strain, eye strain and headaches can also result from bad posture at the computer and there are ways we can adjust our bodies, especially from our spines to counteract this discomfort. Let’s now look at some of the ways you can actively improve your posture to avoid further pain and discomfort. So if you are sitting up straight in your chair, let's begin! Sitting in a chair is one of the most obvious ways in which we create bad posture for ourselves. Improve your posture and back position when sitting by using a chair which has lower back support. This could be through placing a cushion behind your back for example, or already inbuilt to the chair, but as long as your lower back is positioned forwards, this will encourage you to sit up straight. Regular stretching or even just getting up to walk around briefly will aid your posture and will cause you to re-position your posture more frequently. Hopefully this will increase your awareness of how you are sitting as you will readjust each time you sit down again. If you have arm rests or a table in front of you, your elbows should never be slouched below the edges of the table as this will hunch your back up and cause further issues. In a car, the above applies and you should try to use a pillow behind your lower back as this will improve your posture in the vehicle. Always adjust your head rest so that your eyes are approximately aligned with the middle of it. Make sure your seat is also not too far back as you don’t want to be stretching your legs out too far forward for the pedals. At rest your car seat position should allow you to extend your foot pedals fully down to the floor. When lifting and bending, always bend from your knees and try to keep your back straight. Letting your knees take the flexing of bending takes pressure off of your back and will make it easier to rise, especially when lifting a heavy load. At a computer, always try to ensure that you take regular breaks approximately every 20 minutes, but at least once every 45 minutes try to get up and stretch your legs. It may seem small but separating the time you spend staring at the screen can help flex your muscles and improve your concentration. Also, to help reduce your eye strain, every few minutes it can help to stare into the far distance taking your eyes off focusing on the computer screen. When walking, the most important thing is to try not to slouch as this will shorten the muscles in your back. If you do this repeatedly, the muscles could tighten up and this spells trouble for prolonging back pain. Hold your head up high, put your shoulders back with your eyes looking forward at the horizon and not down at the ground and you will feel better for it in terms of your posture. In addition, making yourself walk in this manner could improve your self-confidence and you will command more respect from those around you if you carry yourself with a core strength, you will have more authority about your demeanor. When sleeping, you will get neck pain the higher your pillow is. Having a low, soft pillow is the best solution to eliminate neck pain. Sleeping on your side will also be better for your breathing and lung capacity so avoid sleeping lying on your stomach. Purchase a firm mattress as your bedding can really impact your posture and supports your spine at night. A firmer mattress could work wonders for your back pain if you are suffering and currently only have a soft mattress. Your back and spine need to feel support when sleeping and a heavy sprung mattress will go a long way to helping you achieve this. Lose weight and keep weight down to within a healthy range as being overweight puts strain on your muscles, especially the back, lower leg muscles and knees. Try to get your five-a-day of fruit and vegetables into your diet, as what we eat can clearly influence posture through our weight. Take regular exercise, from walking to swimming or running as this will help your muscles maintain their tone and will also act to keep them flexible. It will also improve your blood circulation and overall feeling of happiness as feel good hormones such as serotonin are released when you exercise which can act to boost your mood. Join a local fitness class as a group situation may strongly motivate you, or even make a personal diary for when you exercise so that you can track your progress. Take up yoga, as this is fantastic way for helping to strengthen your core muscles. You will learn how to control and shape your posture, improving your body alignment. Yoga is also great as an overall way to improve your health and sense of well being. You will learn how to better shape your posture in everyday life from sitting, walking, bending and even working on breathing techniques. There are classes for absolute beginners available and it could be worth exploring the yoga option further, especially if you don’t wish to do any more vigorous exercise perhaps for health reasons, as yoga is very gentle and calming to participate in. Take up dancing as although it may seem simple, joining a dance class will work wonders for improving your leg placement, footwork, your body’s ability to balance and control movements, as well as your flexibility. In addition, it could improve your self-confidence, help you lose weight or maintain a healthy weight and be a social, fun activity. So why not look into some local classes or watch some tutorials online and you may be inspired to get up and dance your aches and pains away! Below why not try out some yoga to improve your posture in the comfort of your own home with Erin Motz from her You Tube channel ‘Do You Yoga’. Nice article. Some really useful tips for maintaining a healthy spine. thanks Peter PT, glad it's of use! Good article but I think the addition of always trying to maintain pelvic neutral is huge. We get so tight in our anterior (front) hips from sitting all day at work or in the car that our body adapts and chronically shortens in that area. Utilizing your glutes and actively contracting them throughout the day can help shift your pelvis posteriorly and realign your spine and put you back into better position. Good tips otherwise and couldn't agree more about losing weight. thanks for your comment totalathletictherapy, I agree that's very true, especially for realigning the spine. 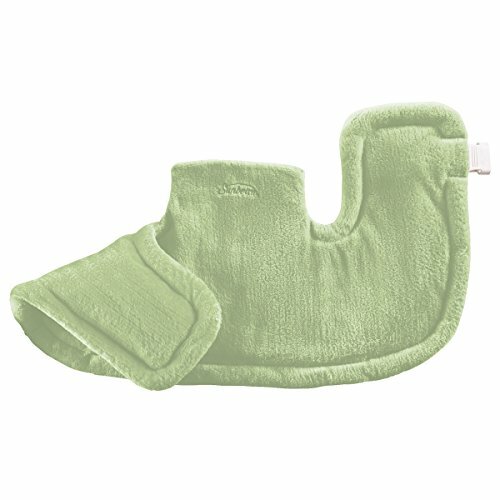 I have chronic back pain, and you have many good suggestions. Basic sitting positions are very important. Yoga is great for stretching muscles and eliminating pain. Thanks for the article. thanks for your comment Moina-Arcee, I'm glad it is of use to you. Very nice article, very helpful. 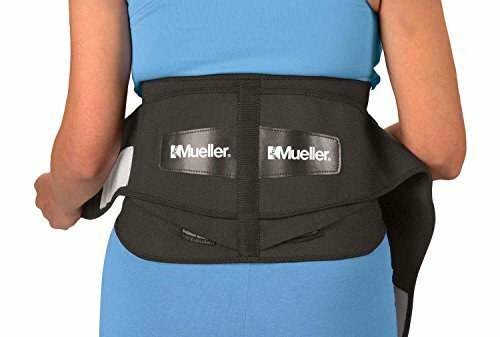 I have problems with my posture and this is what I need. Hello Asereht1970, I'm pleased that my article helps you out.